Striving for Health is Unique. We have multiple holistic treatments that can help with every aspect of your health. We match the best treatments with each individual’s needs to ensure the very best and most rapid results. I have been a licensed acupuncturist and herbalist for 20 years now, which seems like a crazy amount of time, but I still love what I do and continue to be excited to go into work each day. It’s a real honor to help my clients with their health journey. 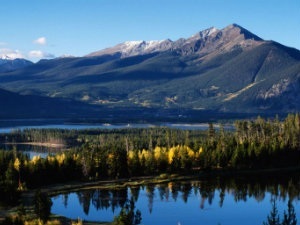 I am originally from the high mountains of Colorado, with many years spent in Boulder, so I am a bit on the crunchy side. :0) I have been working with herbs since the early 90’s and have always had an interest in health and wellness. I originally thought I would go into Western medicine, but then something happened that shifted my path. I got into Traditional Chinese Medicine (TCM) because, like many people in the healing field, I had an accident and found myself needing something outside of the traditional allopathic options. When I was 20 years old I had a bad mountain biking accident. I was a bit of an idiot really as I was riding on a back-country trail without a helmet and found myself crashing, flying over the handlebars and landing on my head, which really wrecked my jaw. I was advised that the only course of treatment was surgery, but that didn’t work for me since the chances of facial paralysis was a bit too high to consider that as a possibility. So, I went on a quest to find another option. This journey into more “alternative” therapies landed me at a local acupuncturist’s office in my home town for treatment. I had heard about acupuncture but had never experienced it up to that point. I was completely shocked that the practitioner was able to get me really great relief in just a few treatments. The needles weren’t painful in any way, I got to use herbs, and I got better! I had found a comprehensive way of working with the body that incorporated healing in a totally different way to the allopathic medicine I was used to. I was amazed, and I was hooked. TCM offered me a completely holistic way to look at and work with the body to get and stay healthy. I have not looked back and rarely have any issues with my jaw or my health using TCM daily, even after almost 30 years. After school I moved to Hawaii to go through a wonderful acupuncture program on Oahu, and to get out of the snow and onto the beach. But, as sometimes happens, my life got side tracked - got married, opened up an environmental hemp shop & community center and had a beautiful baby boy. The marriage didn’t work out, but my love of holistic medicine did, so when my son was 1 year old, I moved back to Denver and went back to acupuncture school. School was incredibly challenging as a single parent, but so worth it. I am still the Director of Training for AAT, its been about 16 years now at that post. I feel very lucky that I still get to train practitioners in the US and Japan in the AAT therapy. Over the years I have trained almost 300 practitioners in the AAT therapy, which is just amazing to me. I love teaching and educating, so this helps support that passion. I have successfully treated thousands of patients and administered tens of thousands of AAT treatments over the years. I still love the therapy so much and it continues to amaze me with daily success stories. After landing back in the states, I started working more with cosmetic acupuncture and other holistic facial treatments. I am turning 50 this year so I have selfish, personal motivations to finding facial techniques that work. :0) I do the treatments on myself so am right there with my clients, trying to keep my skin looking its best for as long as I can, naturally. It feels great to help other women look & feel their best without having to use chemicals, botox or fillers. I absolutely support women doing whatever they feel is right for them, there is zero judgment and those procedures can work really well for some people. However, many people are just not aware that there are holistic facial treatments available. I am here to spread the word! After treating so many people for their allergy symptoms and dealing with the results of toxins on their bodies, I looked deeper into what was going into and onto their bodies via facial & body care products, household chemicals, environmental toxins, etc.. and it was alarming to me to see the nasty stuff that was being used in these common everyday products. I started looking for super clean products for some of my clients, but I couldn’t find products without unwanted nasty ingredients, so I decided to make them myself. I have been making my own skin care products for years and was inspired to make them on a larger scale by many of my fabulous clients who loved using the products because of how great they made their skin look and feel. Until I dove deeper into the face & body care world, I didn’t realize that it’s really the wild west out there in terms of what is allowed in a body care product. There are people making claims that are not true, green-washing products just for sales and an extremely long list of chemicals that are not tested for safety, while the ones that are tested include hormone disruptors, bio accumulators, cancer & organ toxicity causing agents, etc. I don’t want any of that in my body or my client’s! So, I started Spencer St. Botanicals about 3 years ago. This is my own organic and herbal face and body care line which you could literally eat, it’s so clean. The products are made to order with organic, fresh and bio-active ingredients that are wonderful for the skin. Its all about feeding and supporting the skin in the best way possible. I get to use organic herbs and botanicals that are sustainable sourced, so I know exactly where things are coming from and how they are extracted, plus I can support fair trade practices, which is important to me. Its super fun for me to whip up a quick mask for one of my facial treatments that is perfect for what the client’s skin needs for that day’s session, so I am spoiled in that way. I think I enjoy it as much as the person getting the treatment. :0) It allows me to play and create, I am like a kid in a candy shop when I am working with herbs and making products. The clinic is certainly my happy place. I am a big proponent of keeping your environment and body as clean as possible, thus the detox services that are offered at the office. I truly believe that we need to support our body’s detox pathways on a regular basis to help counter the daily exposure to toxins in our everyday world right now. I am excited to be able to help you on your health and wellness journey, whatever that looks like for you. I promise to do my very best and if I am not the best fit for you, I will help you find another practitioner. I am always striving to match the best treatment option with the individual since there is not a perfect one size fits all, everyone is unique. Please feel free to contact me at any time with questions about anything or just to chat.